To all Pokemon GO users, beware. Police in the Missouri town of O’Fallon issued a warning after four suspects were arrested in connection to an armed robbery on Saturday. Police believe the victims were playing Pokemon GO on their smartphones. Pokemon GO is a free-to-play game on Android and iOS systems, released earlier this month. It allows players to capture, battle, train, or trade virtual Pokemon who appear in the real world via the app. Players have to walk around in the real world to move their game avatar. The concept is similar to geo-caching. “If you use this app (or other similar type apps) or have children that do we ask you to please use caution when alerting strangers of your future location,” the O’Fallon Police Department wrote. In an update, the department clarified what may have taken place. There have been a few other issues with the game. 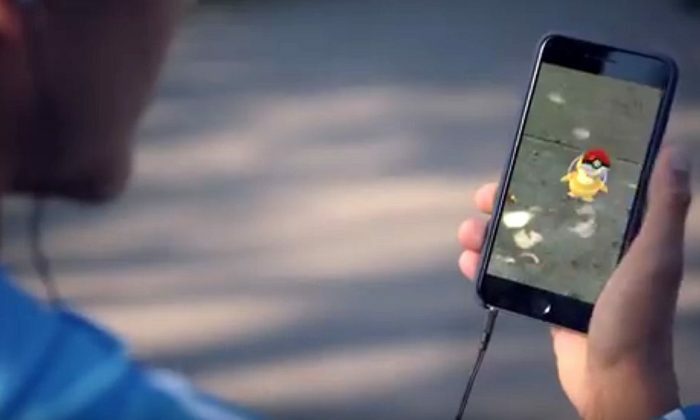 The Northern Territory Police, Fire, and Emergency Services in Australia warned players to “look up, away from your phone and both ways before crossing the street,” according to a Facebook post. “For those budding Pokemon Trainers out there using Pokemon Go—whilst the Darwin Police Station may feature as a Pokestop, please be advised that you don’t actually have to step inside in order to gain the pokeballs,” the post read. Meanwhile, a Cnet report says that a player in Wyoming stumbled across a dead body floating in a river.